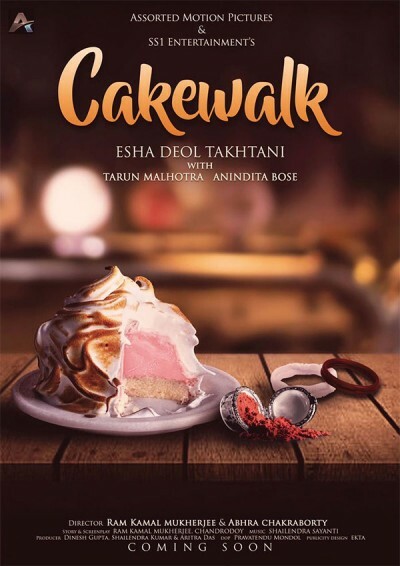 The Actress Esha Deol’s short Hindi film titled “Cakewalk” gives a sneak peek into the life of a married chef. Cakewalk Short Film First Look Poster Released Out. “On the auspicious occasion of Gudi Padwa, Ugadi, Cheti Chand and Navratri, I am happy to reveal the first look of my short Hindi feature ‘Cakewalk’. Produced by Dinesh Gupta, Shailendra Kumar and Aritra Das, the film is directed by Ram Kamal Mukherjee and Abhra Chakraborty,” Esha Deol tweeted on Sunday. In the image shared along with the tweet, one can see a piece of cake, two elastic hair ties and kumkum kept in a kitchen. In the short, Esha will depict the professional and personal journey of a woman in the Indian society. She was last seen on the big screen in 2015 in “Kill Them Young”. Esha, who has a daughter with husband Bharat Takhtani, also gave her “first classical dance performance after a long time” in Delhi earlier this week.